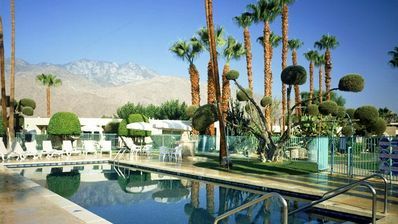 A fantastic modern and cozy 1-bedroom premium condo that is walking distance to the famous Downtown Palm Springs. 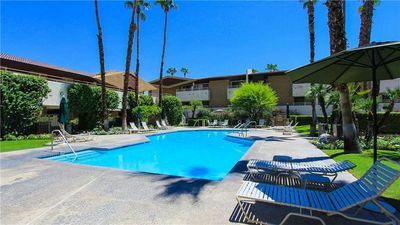 This condo is only a few blocks from the Spa Resort Casino, Hard Rock Hotel, Convention Center, dozens of gourmet restaurants, designer shops and theaters on Palm Canyon Drive. 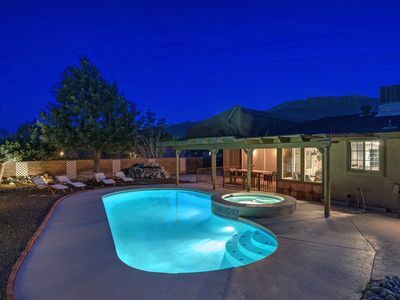 If you are looking for a private and upgraded winter getaway in Palm Springs, this will be the perfect choice for you. It is all about location... location...location! 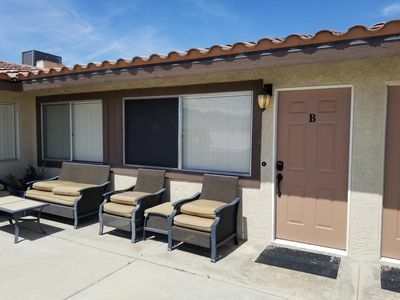 This condo is located on the Second floor of The Biarritz. 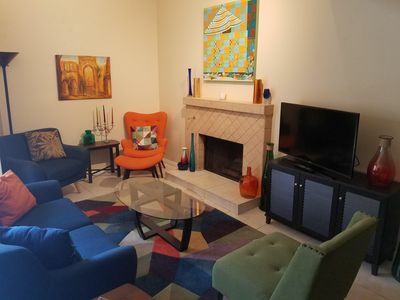 With an assigned underground parking that will keep your car cool during the hot days, there is an easy accessible elevator close to the parking garage and the laundry room. 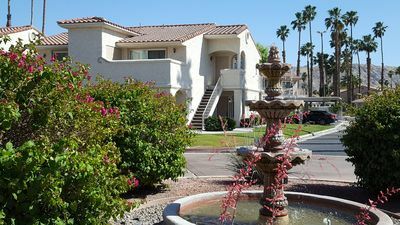 This condo is all about convenience so you can truly enjoy the real vacation. 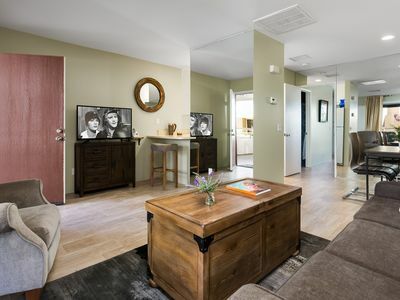 This condo is very functional and offers a truly pleasant experience. Entry to the Biarritz complex is through a gated entrance. The landscape is meticulously maintained and is a wonderful place to walk. 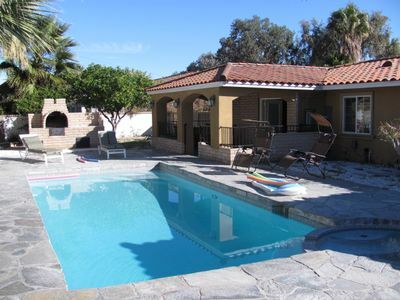 The sparkling pool, 2 spas and 2 sunken tennis courts are just steps away. After a day of fun and sun, sleep soundly in a Queen size bed with luxury and comfortable sheets and linens help you awaken well rested. A fully functional kitchen is ready for those who enjoy cooking. The kitchen is open with small breakfast bar and newer stainless steel appliances. 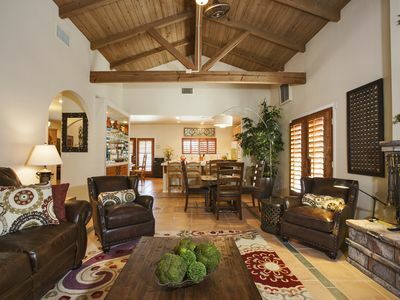 A nice and comfortable dining area is just right across from the kitchen. 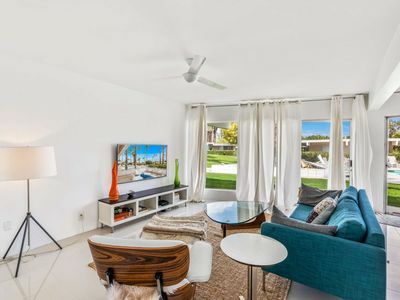 The living room is modernly designed and with comfortable couches and chairs that you will surely need after a day of shopping, swimming, tennis and golf. 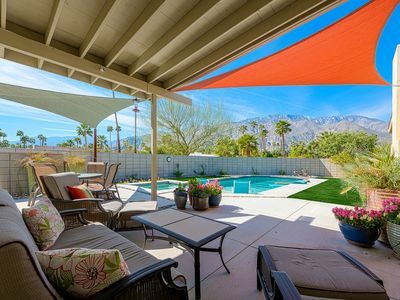 Front and back patios are equipped with comfortable furniture that adds to the living space. 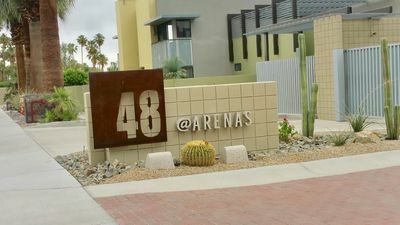 Situated as the penultimate condo on the south side of complex. 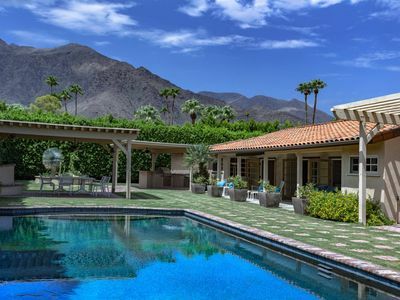 Its location affords extra privacy on the front patio that has mountain views while the back patio sits offside of the pool and tennis courts. 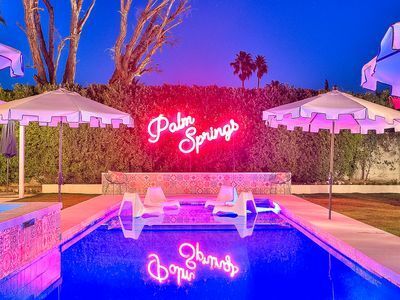 Enjoy FREE TROLLEY SERVICE via PALM SPRINGS BUZZ 1 block from condo runs every 15 minutes through downtown Palm Springs daily from noon to 1am. Leave the car in the garage and be driven around town for free. 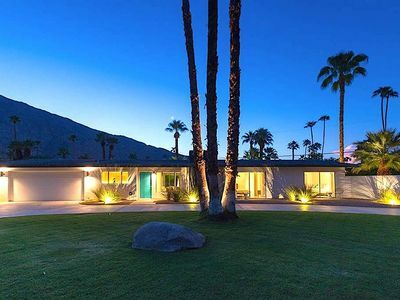 Beautiful Remodeled Modern Palm Springs Getaway Home!! 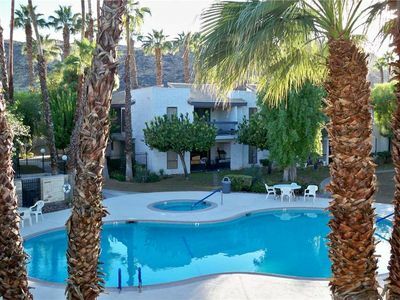 Fabulous Quiet Condo - Gorgeous Mountain Views ! 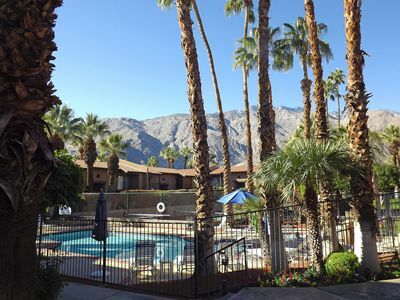 Palm Canyon Villas Condo w/ Great Pool & Mountain Views in South PS! 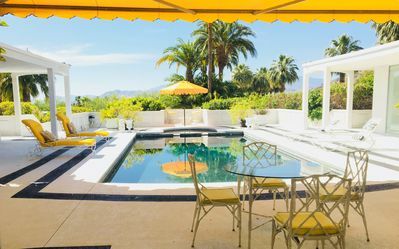 Rockette Ranch - Palm Springs Living the way it was meant to be! 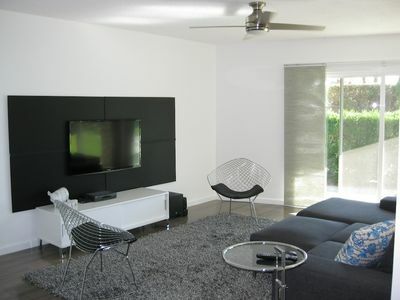 URBAN CONTEMPORARY IN THE HEART OF DOWNTOWN PALM SPRINGS!